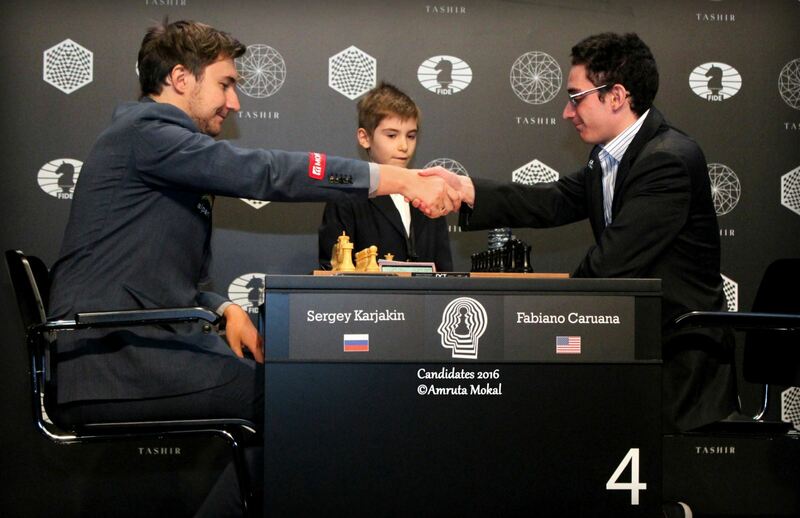 Sergey Karjakin and Fabiano Caruana went into the final round of the Candidates tied for first, with Caruana needing to win with black to qualify. That was not to be – Sergey mated his opponent in a Sicilian Rauzer in 42 moves. Anand drew Svidler, Giri-Topalov and Nakamura-Aronian were also drawn. So Sergey Karjakin is the Challenger for the World Championship in November. Initially,Sergey was not considered one of the favourites going into the eight Grandmaster event,but showed his great skill by losing only one game to finish alone first with 8.5/14 points. Veselin Topalov was a distant last.The Bulgarian commented, “I don’t have a problem to accept that my time is probably gone"
The Altibox Norway Chess Qualifier took place from 23-26th March 2016, during Easter Chess Festival in Fagernes.GM Nils Grandelius took clear first place after getting the best score in both the classical and rapid parts of the tournament.The Swedish grandmaster is now qualified for the super tournament Altibox Norway Chess from 18th -24th April 2016 in Stavanger. The other participants are Carlsen, Kramnik, Giri, Aronian, Vachier-Lagrave, Topalov, Karjakin, Eljanov and Harikrishna. Grandmaster Eltaj Safarli and Woman Grandmaster Narmin Kazimova are crowned chess champions of Azerbaijan for 2016 after convincingly winning their respective sections in the Azerbaijan Championship held from March 15-23.Safarli collected 8,0/9 points leaving the nearest followers point and a half behind. 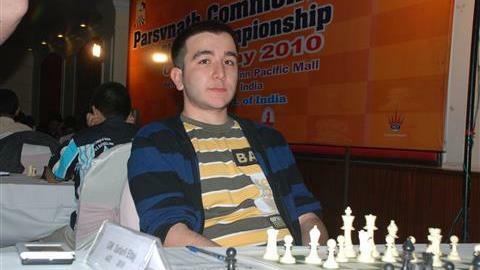 GM Nijat Abasov is second (on tie-break) and FM Nail Bashirli is third. Kazimova also scored 8,0/9 points and the nearest opposition was full two points behind. WFM Aydan Hojjatova is second and WGM Gulnar Mammadova is third. The General Assembly of the French Chess Federation that was held on 26th March voted to remove Diego Salazar from the post of the President, The Chess & Strategy reports.First the President’s report has been rejected with 635 votes against, 290 for and 57 abstentions. The financial report was rejected with similar majority 656 against, 173 for, 185 abstentions.After the break for consultations, the Assembly voted the impeachment of President Salazar with big majority: 623 in favor, 92 abstentions, 303 against. An early election will be held in September 2016. It is said that the game of chess is getting younger and younger every day. But here is a 46-year-old person who not only fought for the top places in a grueling event like the Candidates, but was matching blow for blow against opponents nearly half his age. Vishy Anand provided us with some edge of the seat entertainment at the Moscow Candidates, finishing with 7.5/14 and a respectable third place. “Bit of a roller coaster. I had some very good moments. In the end third is a good result, but I think I spoilt some really good chances. It could just have been a dream tournament. Then again you cannot pick and choose – you cannot just keep the wins and say the losses shouldn’t have happened. Mixed feelings but at least I will go back with something positive”, this is how Vishy Anand described his experience at the Candidates 2016. Truly, it was a complete roller coaster not only for him but for all the millions of his fans back home who were eagerly following each and every move of the fourteen games that he played at the event. The Asian Nations Cup Chess Championship began on 28th March,2016 at the Novotel Abu Dhabi Al Bustan Hotel with 20 countries competing for the right to represent Asia in the World Chess Team Championship. Team India, led by top coaches R.B. Ramesh and Vishal Sareen, are obvious contenders for the title in both the men's and women's section, but we are facing the great wall of China, the country that remains the overwhelming favourite. Every prodigy has their story, how they started, what took them to chess, and more. 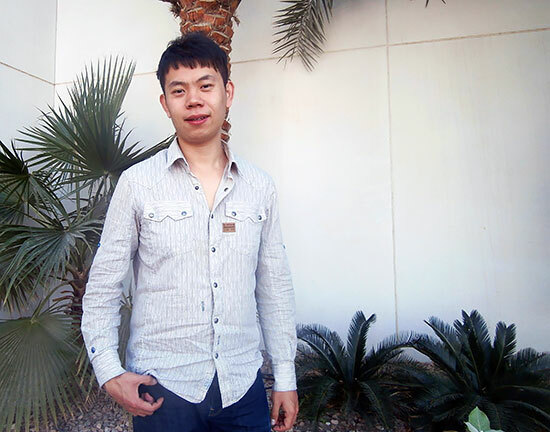 In this profile and interview, the elite Chinese player Wang Hao is revealed to the readers, from his first steps as a youngster in a country where western chess is a distant third to Go or Chinese Chess, to his fantastic leaps as he became a grandmaster almost overnight.In the second part of the profile of Wang Hao, the 26-year-old player shares his dire predictions of the future of classical chess, and his opinion of Magnus Carlsen's play. He also goes into detail on his passion for Manga, and his recommendations, as well as eclectic reading tastes from modern fantasy such as The Witcher to literary giants like Yukio Mishima. 26-year-old GM Abhijeet Gupta tasted a resounding success recently when he won the extremely strong Reykjavik Open 2016 in Iceland. And this is not the first time he is stamping his class by winning a strong Open. He has done this time and again.The Indian, the last one to win a World Junior for our country, granted ChessBase India a crisp interview, where he details his approach to chess, his career and more. This is a picture from the year 2006 of the players who will play against each other in New York this December.Can you guess?!! Keep it up and keep making it more interesting. thnxx!! 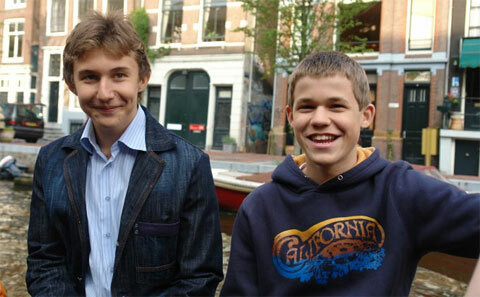 not to forget,the mini carlsen was already a GM!